RRP - £ 689.00. LIMITED EDITION STYLE 620- WAIST 34. W 34, L32-. Jacob Cohen. 620 Limited Edition. Blue Jeans. JACOB COHEN DARK BLUE JEANS WITH RED BADGE. W 33, L32-. Jacob Cohen. 620 Limited Edition. Blue Jeans. JACOB COHEN BLUE JEANS WITH GREEN BADGE. Waist (circumf.). : 31" (78.5 cm). Inseam: 31" (78.5 cm). Thigh: 10.50" (27 cm). Front Rise: 9" (23 cm). Back rise: 13" (33 cm). Total outside leg length: 39" (99 cm). Knee: 8" (20 cm). JACOB COHENBLACK JEANS WITH BROWN BADGE / BNWT -. RRP - £ 689.00. LIMITED EDITION STYLE 620 - WAIST 32. Marked Size: 33. Inseam is 29 in. Outseam is 40 in. Waist is 16 in. Jacob Cohën jeans. ALL Jacob Cohën INVENTORY. Fabric Weave:Twill. Color:Denim Blue. Fabric Type:Denim. Pant Waist:32.5". Fabric Content:97% Cotton, 3% Elastane. Our Item Number:JC-M-J688-00564W2-4701-002-32. Jacob Cohën jeans. ALL Jacob Cohën INVENTORY. Pattern Color Width At Cuff:6.5". Width At Knee:7.25". Inseam:29". Pant Waist:31". In great used condition without flaws. Does show normal wear, meaning not new with tags, has been washed and gently worn, please see pictures. Measurements *waist 14” *rise 8” *inseam 29 1/2” If any other measurements are needed, then please don’t hesitate to message me. Please check measurements to make sure this is a perfect fit before purchasing. Colors might be off due to lighting. All of my items come from a smoke and pet free home. Similar items are added several times per week so please come back soon! Thank you for your interest and happy shopping! Jacob Cohën jeans. ALL Jacob Cohën INVENTORY. Pattern Color Width At Cuff:7.5". Width At Knee:8.5". Inseam:36". Rise:10.5". Pant Waist:36". 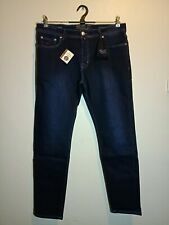 Mens Gap Skinny Jeans 32x30 Like Jacob Cohen . Dispatched with Royal Mail 1st Class. Open to realistic offers and please check my other items as I'm having a massive designer clear out. Jacob Cohën jeans. ALL Jacob Cohën INVENTORY. Pant Waist:40.5". Fabric Type:Stretch. Color:Dark Blue. Rise:9.75". Fabric Weight:Light. Our Item Number:JC-M-PW622-00514W2-4902-002-42. Jacob Cohën jeans. ALL Jacob Cohën INVENTORY. Color:Charcoal Gray. Pattern Color Width At Cuff:6.5". Width At Knee:7.5". Inseam:29.5". Pant Waist:31.5". Jacob Cohën jeans. ALL Jacob Cohën INVENTORY. Pattern Color Width At Cuff:6.5". Width At Knee:7.75". Inseam:29". Rise:8.75". Pant Waist:33". Jacob Cohën jeans. ALL Jacob Cohën INVENTORY. Fabric Weave:Twill. Width At Cuff:7.5". Width At Knee:8.75". Inseam:33". Pant Waist:34". Width At Knee:8.25". Jacob Cohën jeans. ALL Jacob Cohën INVENTORY. Pant Waist:29.5". Color:Dark Blue. Our Item Number:JC-M-J613-00503W2-4801-002-29. Width At Cuff:6.75". Width At Knee:7.5". Inseam:34".